Honestly I know I am super late to the overnight oats party. I saw them everywhere last year on social media and had every intention of making them. But I was on a serious smoothie regime and just never dove into the oats. Now everything has changed, my mornings will now have overnight oats from time to time, but at least once a week. I am in love. Many of you know how much I love my green smoothies and grains equally. 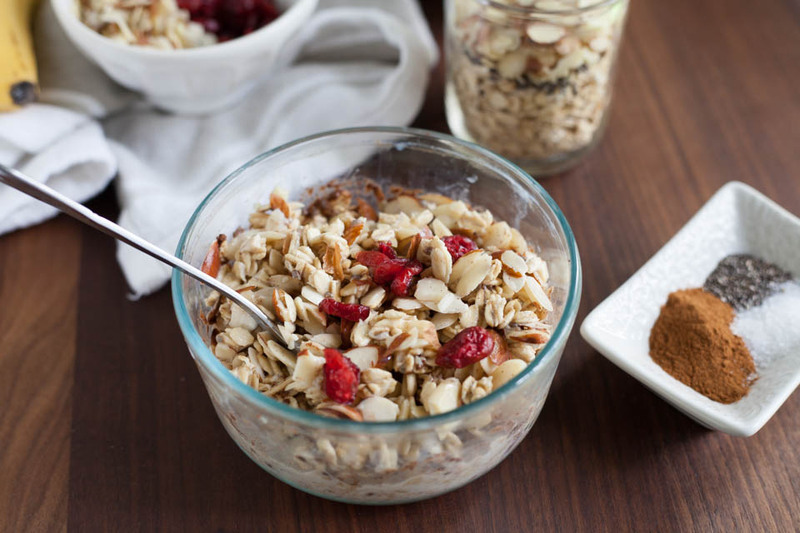 I totally enjoy a good warm bowl of oatmeal, I simply love grains and grainy foods. I finally tried the overnight oats one day, not expecting much to be honest, but oh my gosh, they are so good! Like, so so good. Maybe it’s crazy but I really enjoy them. There’s something about them, they’re like cereal and oatmeal had a baby. I used to love cereal but I don’t eat it anymore because it’s often so sweet and has weird ingredients. So I was super excited that the milk and oats mimicked cereal enough for me to satiate that want for cereal. 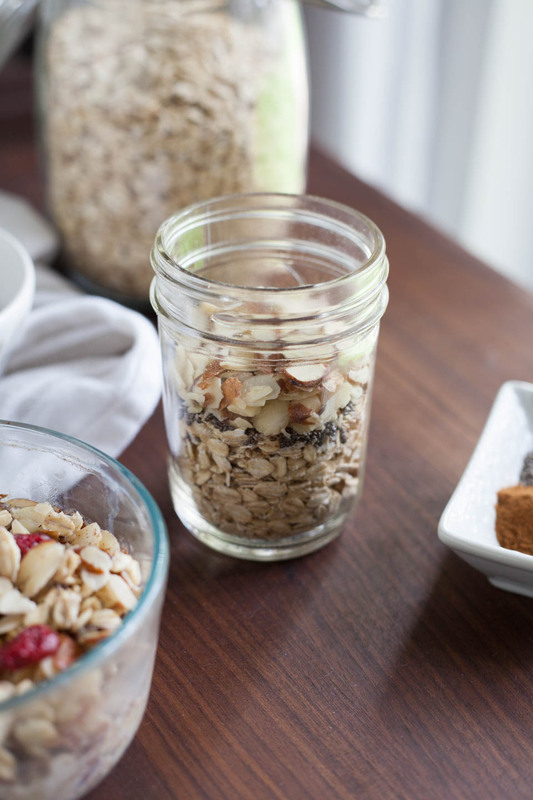 Obviously these are much more healthy than any cereal and you can add whatever you love to make them your own. I made them super basic on my first try, just to see what they were all about. Simple oats, milk, a touch of maple syrup, and a pinch of salt, so good. Next I added almonds and cinnamon, with dried fruit added in the next morning. But definitely add the nuts and seeds to soak overnight, as that makes them more easily digestible. It’s easy to make these your own by adding tons of different combinations to make them healthy or more indulgent. The cinnamon goes well with most, so I left that in the basic recipe and it’s super good for us. Also, don’t forget to add the pinch of salt, it makes all of the difference in the world. Easily triple or double this recipe for more servings. 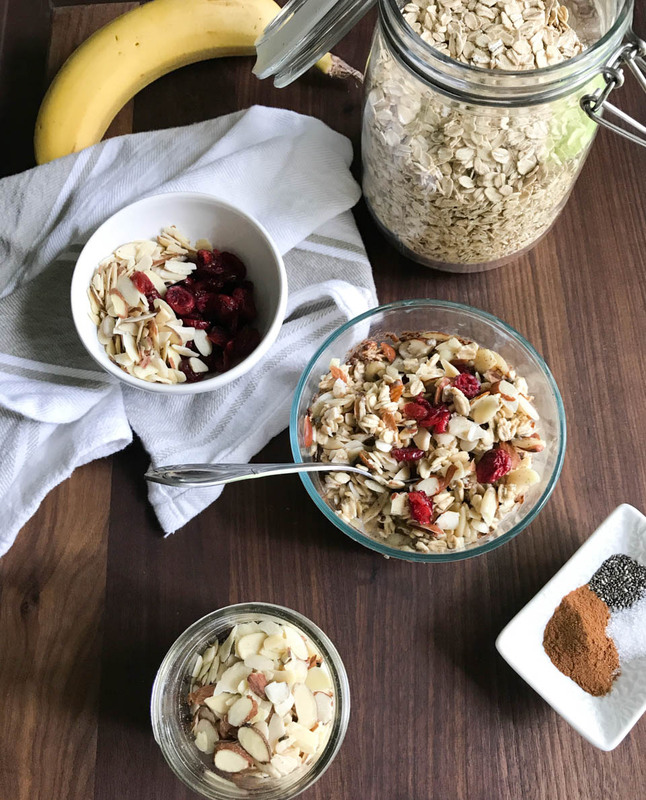 Top the recipe below with even more goodness like fresh banana slices, fresh or dried berries, peanut butter, or anything you love for breakfast! Add all ingredients (except dried fruit- add in morning) into a jar or bowl with tight fitting lid, stir, place in fridge for minimum 8 hours. 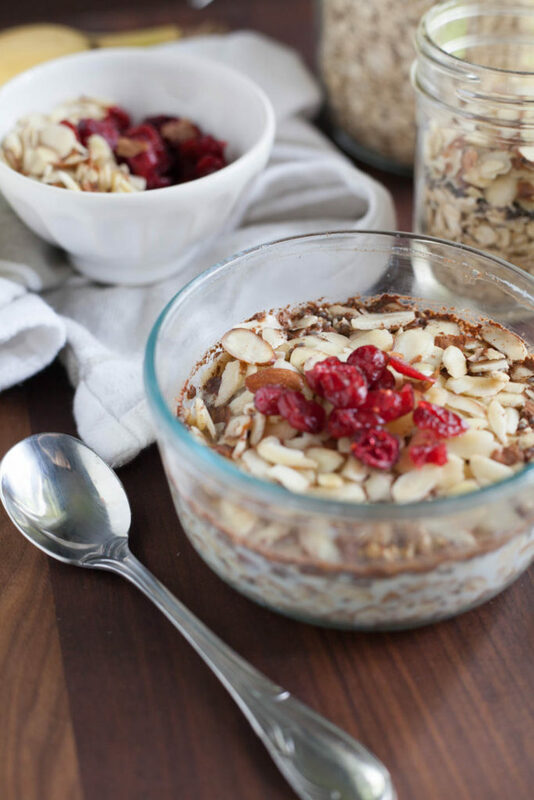 I dragged my feet as well, but I finally made them and I love how creative you can get with overnight oats! Having trouble commenting….